This year’s motto for Internorga 2019 was “Five Days That Push Your Business Forward by Years”. The event certainly lived up to its promise to showcase the latest culinary trends, equipment designs and new foodservice concepts in the German foodservice market. As Internorga ended, the raw numbers prove its success. A total of 95,000 trade visitors attended the five-day event along with more than 1300 exhibitors from the hospitality, restaurants and bakery sectors throughout Germany and neighboring EU countries. Yet beyond these numbers, Internorga was a tremendous success for True Refrigeration Europe. Let’s look back some of the highlights, and the key lessons we learned. The over-arching focus for the event was the growing need for sustainability and efficiency in the hospitality sector, and how manufacturers, suppliers and industry workers can all work to save energy and reduce waste. It’s clear that the need for action, and the market’s desire for sustainable products as a result, will grow. As always, True’s food prep tables are the biggest attraction at any of our exhibits, and Internorga was no exception. 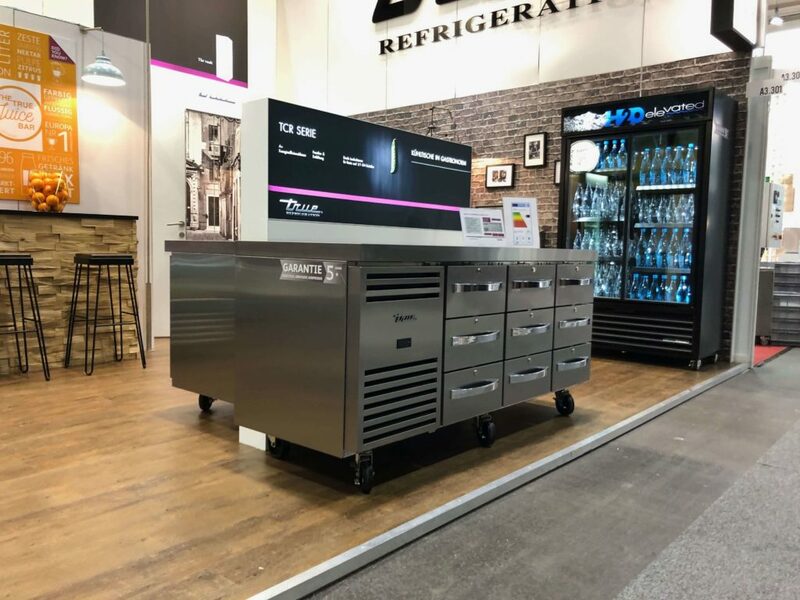 True displayed several different sizes of our TSSU and TPP prep table lines to show visitors how they might make their salads, sandwiches, sushi or pizza prep easier while maintaining proper food temperatures. Alongside the prep tables were our new GN-compatible TCR counters, in both door and drawer versions. Not only are they perfect for organising any busy professional kitchen, sustainability is also a factor in the design with TCR counters earning an A+ rating which means big savings for operators over the product’s lifespan. All backed by True’s industry-leading 5-year warranty on parts and labour. True also launched its new German language website—www.truerefrigeration.de—just prior to the start of Internorga. Several visitors to our exhibit had already visited the site ahead of Internorga, and specifically commented about its usefulness and ease of access. True Europe’s staff of German-speaking sales, technical and customer service personnel were on-hand during Internorga to greet visitors and present the True product line to help generate commercial refrigeration ideas and solutions for every type of foodservice operation. 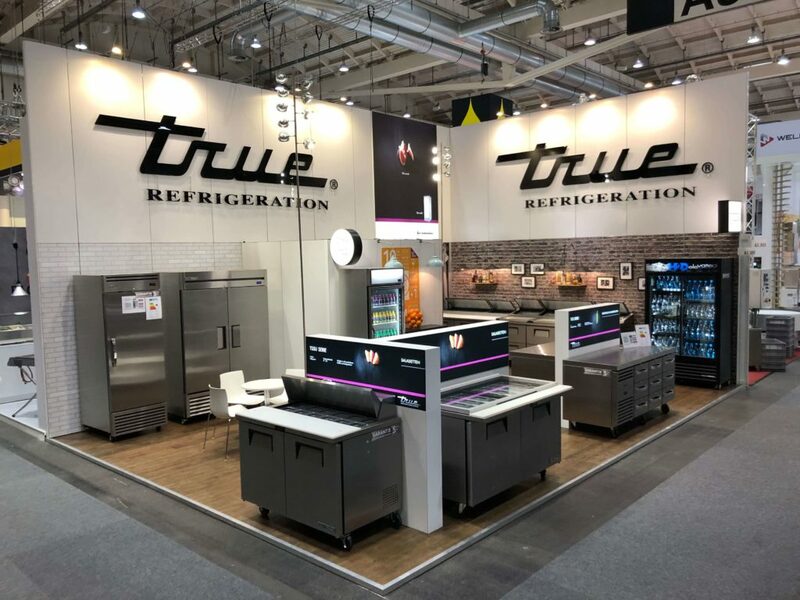 True Europe is already looking forward to the next edition of Internorga next March, where even more innovations in True’s line-up of commercial refrigeration are sure to be introduced to the German market. Auf ein baldiges Wiedersehen auf der Internorga 2020!